So tender and gentle design will be a perfect advertisement for the huge Ester celebration. 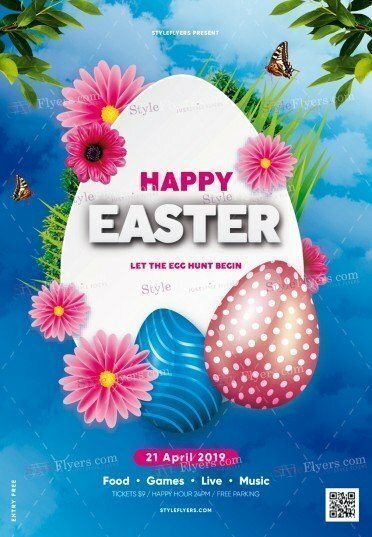 Blue background with pink flowers and huge white egg in the middle will provoke the celebration spirit. Each element of this template has its own place and matter! You can purchase this design right now and get a free Facebook cover with a similar appearance. 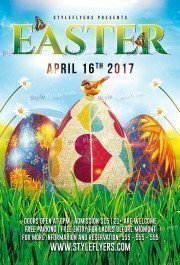 If you are looking for the cutest and brightest flyer for your Easter event promotion, you will definitely need to use our premium flyer. This flyer will win all hearts and promote your event in the most efficient way. 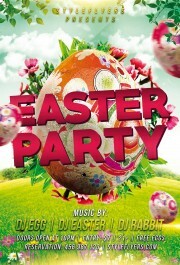 You can promote your Easter party only with this product. It means minimal investment and maximal feedback.